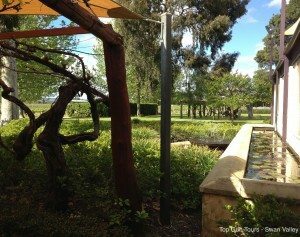 Join us in the Swan Valley for a tour that includes a visit to one of Western Australia’s oldest and largest privately owned wineries. Taste award-winning Sandalford wines as you witness this spectacular winery in operation, as the winemaking process journeys from vineyard to bottle. Sandalford has earned their excellent reputation, having made wines for over 150 years. Founded in 1840, the business returned to family ownership in the early 1990’s, run by Deborah and Peter Prendiville. Although maintaining traditional principles, the couple has done much to make the winery more contemporary. Due to this modernisation, Sandalford can now hold almost 1 million litres of wine in French and American oak barrels, held in some 600 m² of underground storage. Two vineyards supply the grapes for their wines; one in the Wilyabrup region in Margaret River and the other in the Swan Valley. Sandalford produces five ranges of wine. The popular Element and Winemaker’s range are their entry point wines. Following this range is the Margaret River range (in the mid-tier price bracket). The Margaret River range uses only declassified fruit originally intended for the Estate Reserve and super premium Prendiville Reserve collections, which sit at the peak of the Sandalford portfolio. Your visit to Sandalford Estate is destined to be an enjoyable experience, definitely one to remember. 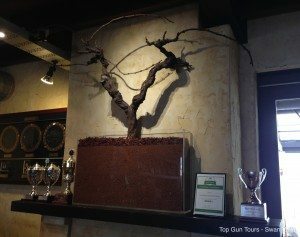 Quoted as being “unquestionably W.A.’s leading ‘Wine tourism’ facility”, it boasts multiple awards for wine tourism. This impressive estate houses function rooms, alfresco dining, expansive gardens, the renowned Cellar Door (shop) and more. 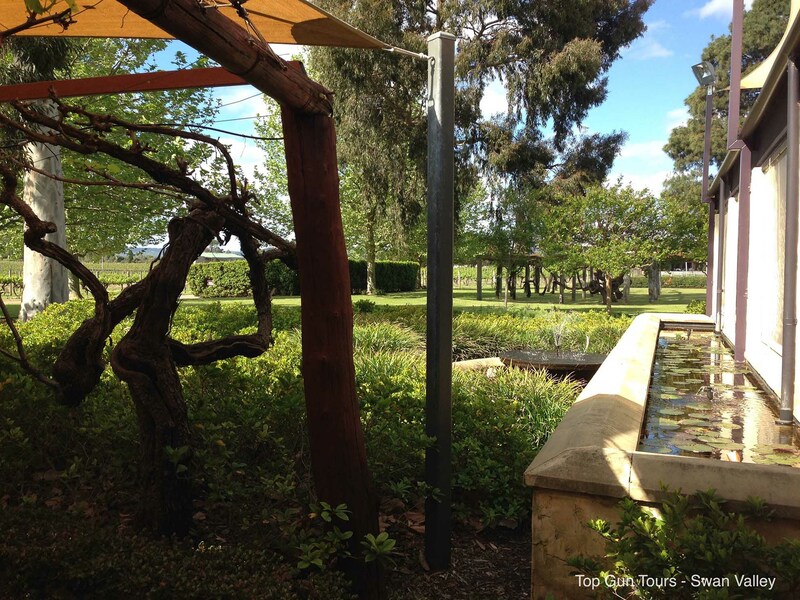 If you like Australian wine, you’re going to love visiting Sandalford’s Swan Valley Cellar Door. The Cellar Door has everything wine related that you could think of! There are fantastic gift ideas, from glassware, bottle openers, artwork and of course, the complete range of Sandalford wines are for sale. Choose from the range of Estate Reserve, the highly popular Element Wines and Margaret River Wines, the ultra-premium Prendiville Cabernet Sauvignon, Botrytis Semillon, or one of the ports or fortified wines. 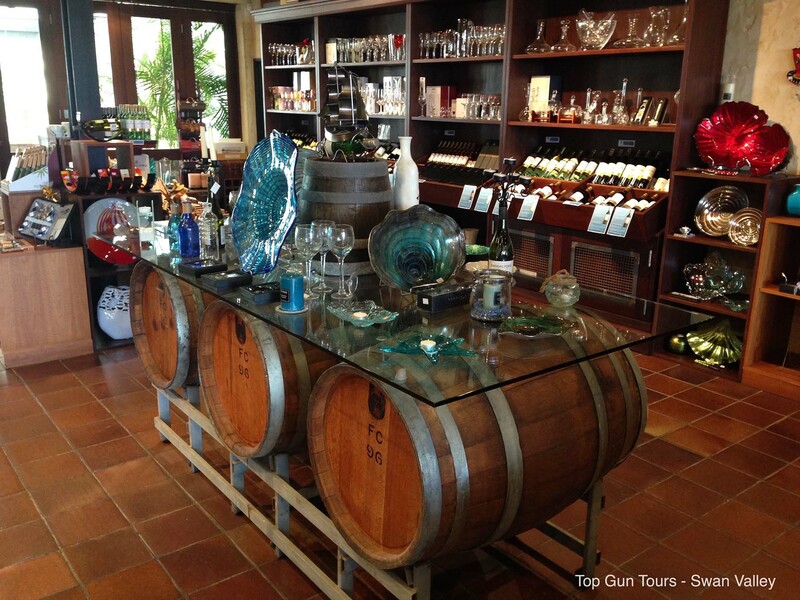 Bonus: all travellers with Top Gun Tours receive 20% off any purchase (merchandise or wines) at the Cellar Door! Our modern and luxuriously comfortable tour bus will drive you to Sandalford Estate Winery in Caversham, which is in the heart of the Swan Valley. 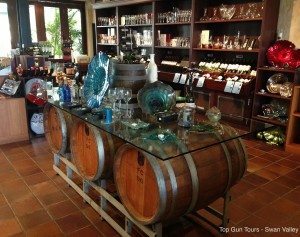 When you embark on a wine tour with Top Gun Tours, the prestigious Sandalford Winery is our first destination. After your visit, you will be taken to several other local wineries to taste first-class wines and a variety of delicious local produce. 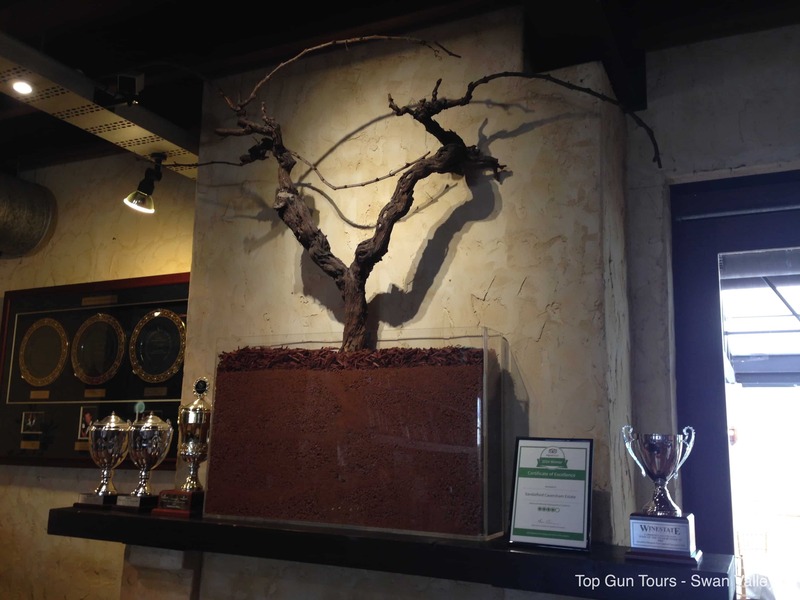 Top Gun Tours run tours in their luxury air-conditioned bus to Sandalford Winery in the Swan Valley every Tuesday, Thursday and Saturday. Read more about our much talked about and highly rated wine tour here.